So I finally picked up a new printer after my HP Photosmart 3310 All-in-One gave up the ghost. The HP served me well for many years as an all-purpose printer but I knew that my next printer would have to better meet my photographic needs. First and foremost it has to print out exhibition quality black and white prints. Space saving and affordability were also high up on the criteria list. As for the brand I was impartial since I had owned both HP and Epson printers before and had good experiences with both. However, having read Rob Sheppard’s “New Epson Complete Guide to Digital Printing” a few of years back did sway me in favor of the aforementioned brand. I’ve always known Epson products to be highly durable as I have relied on my V700 to scan my films without fail for many years now. 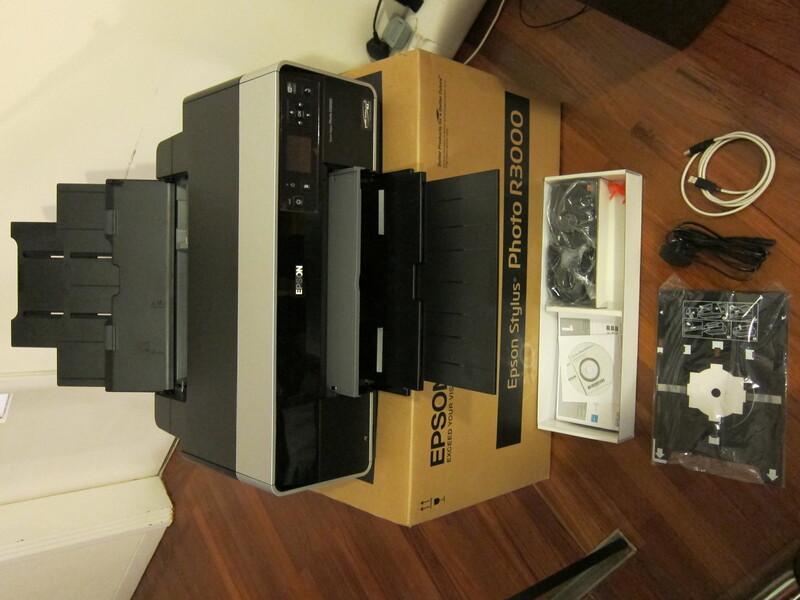 So after doing some research into the latest and greatest I decided on the Epson Stylus Photo R3000 (SPR3000). And after about a week with the printer and outputting some decent work prints I can safely recommend it to the general enthusiast looking to get good quality prints without much fiddling around. So without further ado let’s look at what comes in the box shall we? The SPR3000 is the size of a small side table when folded up. With the front and rear trays extended it takes up significantly more room. I leave it folded up when not in use to save space. Like most printers nowadays it is WiFi enabled so you can put it in your closet if you really wanted to. The rear tray is the auto sheet feeder for loading paper up to A3 in size. There’s an edge guide that can slide all the way to the right for loading smaller 4R photo paper. The front manual feed tray is the light gray piece in the front for loading things like fine art media, poster board and CDs / DVDs. There’s a special carrier pictured in the bottom left corner that comes with the SPR3000 for guiding the CDs / DVDs into place. Beside it are the power cord and USB cable which is not needed after the initial WiFi setup. In the white box are the user manuals, CD ROM and two roll paper holders that can be installed on the back of the printer. The little orange thingy must be removed from the printer before use. Not pictured above are the 9 color and black ink cartridges that come with the printer. The dealer where I got my SPR3000 from also gave me a whole stack of 4R Premium Glossy Photo paper samples which have come in handy for printing small work prints before larger ones. As part of the package there was also a 30 minutes introductory training course to start producing decent prints after setup. It helped going into the training to know a little bit about color management and profiles. This entry was posted in Epson and tagged a3, Epson stylus photo r3000, ink jet, k3 inks by Adventures in Photography. Bookmark the permalink. Quality of printing depends upon both printers and papers. 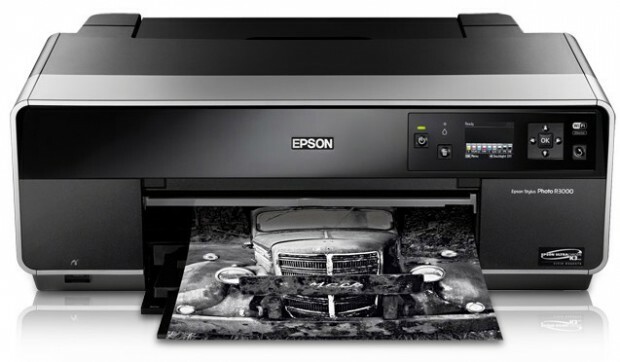 So, i am happy with my epson printer and thankful to epson fine art paper which always provides heavy discount, on the purchasing of papers and printers. Thanks for the comments and the tips. Will be sure to experiment with more papers.